The prospect of editing a human's genes has long captured the minds of both scientists and non-scientists alike. The exponentially increasing interest and controversy of CRISPR/Cas9 gene editing technologies has expanded out of the laboratory into the classroom, the courtroom, and even political arenas. 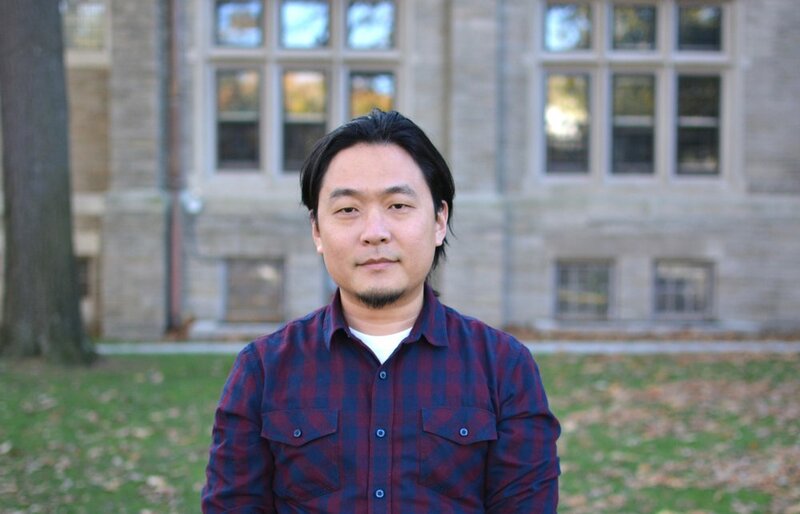 To gain more insight into how students are taught about this controversial topic, Associate Editor Eugene Oh conducted an interview via email with Dr. Dominic Mao, the Assistant Director of Undergraduate Studies in Molecular and Cellular Biology as well as Chemical and Physical Biology at Harvard University. He also teaches MCB 60: Cellular Biology and Molecular Medicine, an introductory biology course with an enrollment of around 150 students, several of whom could move on to deal with CRISPR/Cas9 and gene editing in their careers. One of the first topics that Dr. Mao teaches in the course is an in-depth discussion of the scientific and societal implications of the technology. Eugene Oh (EO): Could you briefly talk about what CRISPR/Cas9 is and what the different applications of this technology are? Dr. Dominic Mao (DM): CRISPR/Cas9 is a mechanism present in many prokaryotes (bacteria and archaea) that protects them from invasion by foreign DNA. The CRISPR component of the CRISPR/Cas9 system can be thought of as a sort of a database containing files that are ‘mugshots’ of invading DNA. These mugshots are short sequences captured from the foreign DNA of prior failed invasions stored in the genome for easy recognition in the future. Cas9 is a modular component of the system that associates with the mugshot sequences and cuts DNA that matches the mugshots. Thus, subsequent invasions by any DNA sequence already represented in the database will be specifically targeted and terminated. The discovery of how CRISPR/Cas9 works in microbes led to efforts to develop it as a tool and apply this mechanism into other organisms. There are many applications of CRISPR and all of them have the common theme of using the capability of easily combining an engineered sequence of choice with Cas9 to direct it to a specific location in genomes as defined by the sequence. This ability to send Cas9 (modified versions of Cas9 with other features have also been developed) to specific sites is used to edit the target DNA or modulate the expression of genes. EO: Knowledge of and research on CRISPR and Cas9 have been around since as early as 1987. Why is this technology becoming so popular and so controversial at this point in time? DM: There are two aspects: elucidating the biology of CRISPR/Cas9 versus using CRISPR/Cas9 as a tool. The understanding of the biology of CRISPR/Cas9 started as observations of a peculiar genomic feature of unique sequences (named spacers) interspersed by repeat sequences, which we now know as the CRISPR array. Although this feature was first reported in 1987, it took several years before the associated Cas genes were identified and the role of the system as a prokaryotic adaptive immune function was identified. Arguably, the popularity of CRISPR/Cas9 can be attributed to its application as a tool in various capacities, which is a more recent development. The lag in CRISPR/Cas9 becoming popular is because the function and mechanistic details were being worked out. Only once the mechanism was elucidated could scientists make significant progress in repurposing the system for specific applications. The buzz surrounding CRISPR/Cas9 especially in the popular media has been mainly about the ramifications of using the technology for human gene editing. Such conversations are important and essential in carefully assessing every emerging new technology that has potentially broad societal impacts. A few of the opinions are highlighted in a question below. EO: You teach an introductory molecular and cellular biology course to undergraduates at Harvard, and CRISPR/Cas9 and gene editing is one of the first topics you introduce. What makes this an important topic to teach in an introductory biology class? DM: There are several reasons that make CRISPR/Cas9 a good topic to include early in the undergraduate curriculum. It allows for discussions on (i) the mechanistic details of CRISPR/Cas9 in the physiological context as well as its applications, (ii) the ethical and societal implications of the applications of the technology, and (iii) the importance and impact of basic science research (remember this all started with observations of curious features in prokaryotic genomes!). In other words, it is important for students in introductory classes to learn how the field has an impact on society, and CRISPR/Cas9 is an intricate molecular biology process that is having a wide societal impact. EO: Several of your students may potentially end up going into professions that deal with CRISPR/Cas9 as a gene editing tool whether it be in research, entrepreneurship, public policy, or healthcare. What impression do you try to leave on them about the technology? DM: I want to equip students with the knowledge and skills to make their own opinions about rapidly evolving technologies like CRISPR/Cas9. In addition, I hope students will leave with an appreciation (i) for scientific discovery, (ii) of the intersection of science and society, and (iii) of exploratory research. EO: From your experience teaching this material and interacting with students, what seems to be the trend in students’ opinions on gene editing? DM: We always hear a variety of opinions from the students, which is a great thing! Students generally tend to be on board the idea of gene editing for curing diseases, but concerns are voiced on the subject of use of the technology for enhancement and whether only the affluent will have access to the technology. Many also comment on the quality control and technical aspects of the technology and whether we have sufficient understanding of our genome (for example, whether we might intend to correct an error, which later maybe turns out to have other detrimental effects). In one of our discussions, we delve into the use of CRISPR/Cas9 for eradicating mosquitoes to combat malaria and discuss the unknown ramifications at the ecological level. EO: How do you balance your opinion on the issue with how you present the material to students? DM: You must be referring to the ethical and societal conversations surrounding CRISPR/Cas9. I focus on making students feel comfortable to share their thoughts, aware of the differing viewpoints, and encouraging continuing the conversation beyond the classroom. I try to achieve this by withholding my personal opinion, encouraging students to voice their opinions, and making them aware of views that have emerged/are emerging among the general public and the scientific community. EO: If you were given the opportunity to teach the general public about CRISPR/Cas9, what would you tell them? DM: I would follow the same format as my class – talk about the science behind CRISPR/Cas9 as a biological process and a tool, the debates surrounding its use for gene editing, and the importance of basic science research. EO: What is one thing you would want people that heavily oppose the use of CRISPR/Cas9 to know about the technology? DM: CRISPR/Cas9 is yet another powerful tool with huge potential. Although at this time there are limitations, scientists are rigorously assessing and working towards overcoming those limitations. For example, one concern is the off-target effects that could lead to unintended changes in the genome. What if we could overcome that? EO: How do you predict that the teaching of this subject will change over the years, and in which direction would you like to see it go? DM: Knowledge on the biology of CRISPR/Cas9 will continue to grow and we will have a better understanding of prokaryotic adaptive immunity. The technical and ethical discussions about CRISPR/Cas9 as a gene editing technology we have in class are already great - students provide great insights and are excited to talk about it beyond the classroom! Over the years, there will be more examples of uses of CRISPR/Cas9 and we will know more about the consequences. It would be great to see this type of information incorporated in the discussion as it becomes available. I would very much like for ways to discuss CRISPR/Cas9 at the high school level and in general education courses so that more people are equipped to understand a technology that will likely see widespread use in society.